Nintendo Australia has now wrapped up all but one game for 2011 to get a release date today by announcing the release dates for Go Vacation, the on again, off again Solatorobo: Red the Hunter and the fourth instalment of Professor Layton. The next two months for Nintendo are now packed with Go Vacation set to be released on November 17th for the budget price of $69.95. It actually looks quite interesting; look out for our review. Also dated is Solatorobo: Red the Hunter for the Nintendo DS which has had an on again, off again release here in Australia, but Nintendo has finally come up with the goods and it will be out November 24th. 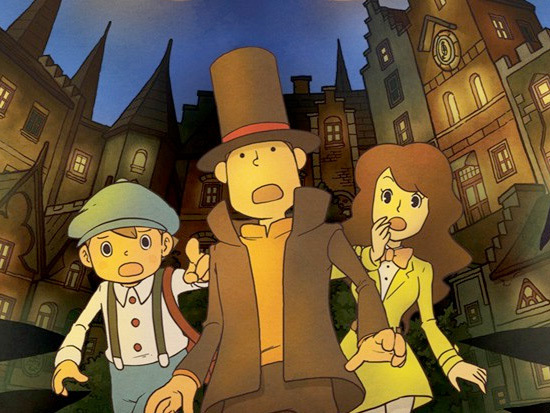 Finally Professor Layton and the Last Specter will be out December 1st and it WILL contain the unlockable London Life game that adds over 100 hours of additional gameplay. It will be the last DS game for Layton before it heads into the realm of 3D. Solatorobo: Red the Hunter will be $49.95 and Professor Layton and the Last Specter will be $59.95. Bargains! Mario Kart 7 is now the only title without a release date. Where will it fit in all of this? !